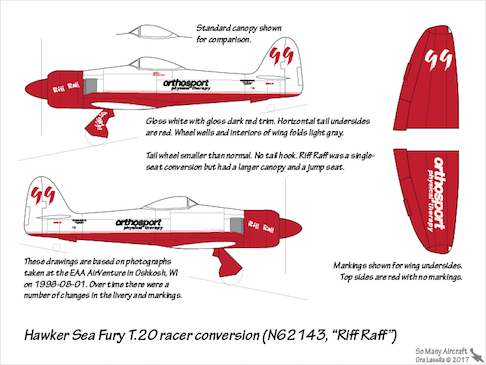 Hawker Sea Fury "Riff Raff"
Our plan is to build a scale model (in 1/72nd scale) of this modified Sea Fury T.20 racer. 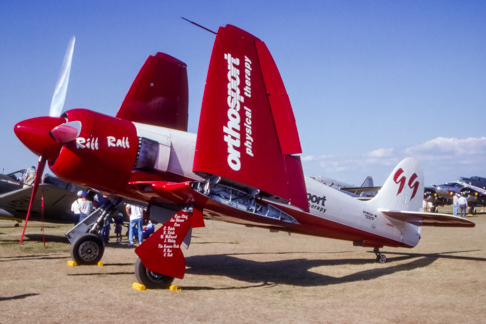 We photographed the aircraft in Oskosh in August 1998. Graphics for custom-made decals are done.